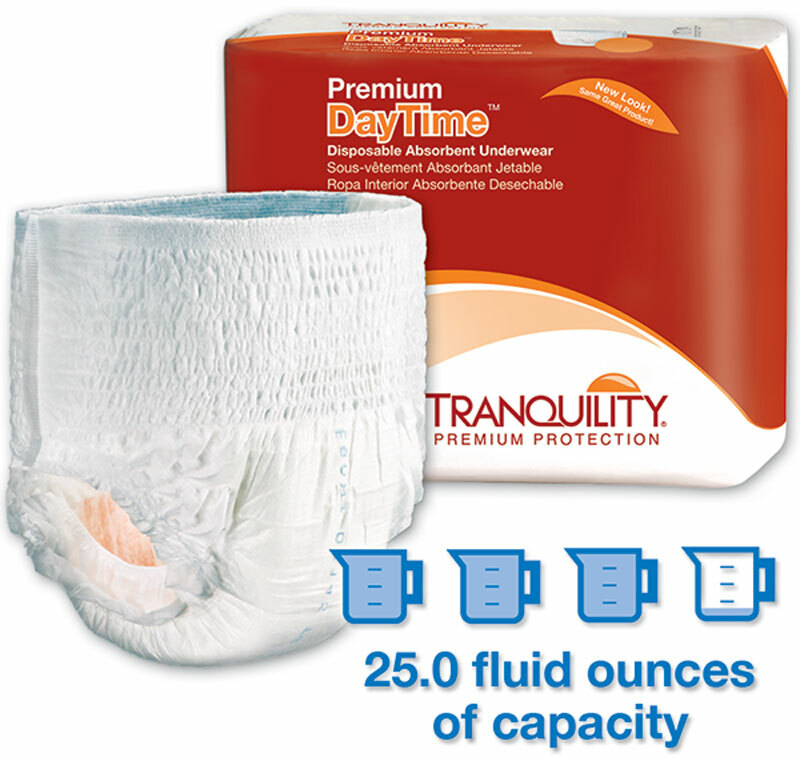 Tranquility Premium DayTime&trtade; Disposable Absorbent Underwear offers outstanding, discreet and comfortable protection. Guaranteed performance ensures confidence and comfort during active daytime hours. The peach mat absorbent core guarantees skin dryness, odor control and pH neutralization.